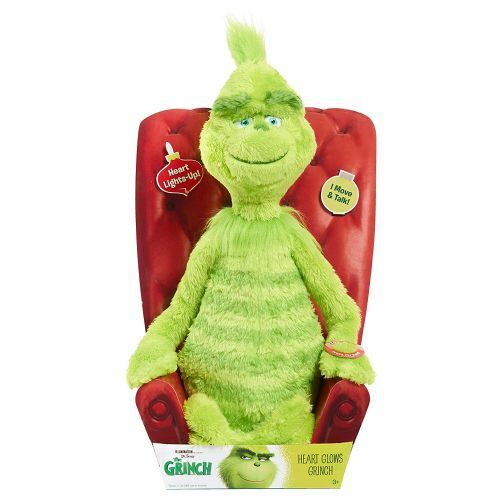 The grinch's heart really lights up! He sways back and forth to the music. The grinch's eyebrows move up and down as he talks. Says fun phrases from the movie.